Mahindra Mojo Tribe Mountain Trail ride announced | IAMABIKER - Everything Motorcycle! Harley Davidson Motorcycles has its HOG group and rallies, Honda, TVS and Yamaha conduct One Make Championships and Royal Enfield have their grand tours. And now it’s Mahindras’ turn to join the league. Mahindra Two Wheelers came up with the Mojo Tribe couple of months back and now is organising a ride called The Mountain Trail. It is good to know that companies are keen to organise such events because not only do they keep the customers happy but they are also a good marketing strategy. The Mountain Trail is a 15 day event. The Mojo Tribe will cover a total distance of 2700 kms starting off from New Delhi on 24 July 2016 and finishing on 7 Aug 2016 in Chandigarh. During these 15 days, the participants will encounter very rugged terrains and will ride on some of the highest motorable roads in the world. Mahindra Mojo owners can register themselves on the company’s official website to be part of this epic ride. 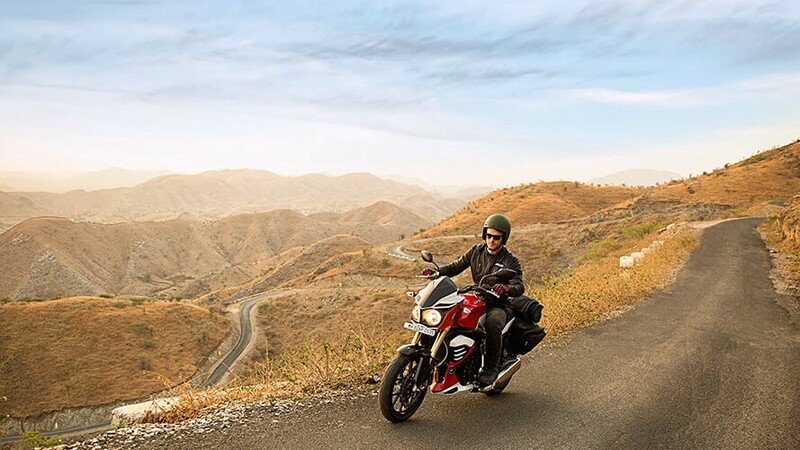 Mahindra is also giving a chance to bike enthusiasts who want to experience the touring capabilities of the Mojo to participate and will be providing these riders with motorcycles. During the Mountain Trail, the Mojo Tribe will traverse through terrains where they usually don’t ride. The entire course of the trail contains valleys and mountains of the Himalayas. This route will test the riding capabilities of the riders. The Mojo Tribe will ride through treacherous terrains ranging from the Gangetic Plains to the picturesque valleys of Ladakh. Other scenic locations that the riders will experience include Sarchu, Leh, Nubra Valley, Pangong and Kargil, where they will pay homage to the martyrs of the Kargil War. This is the first time Mahindra Two Wheeler is organising an event of this kind. We are really looking forward to it and we hope that Mahindra keeps organising such events in the future as well.